Cruise in comfort and unique style onboard the Five-star Deluxe Yacht, the Jaz Senator. This is the only vessel within the Travcotels’ fleet to feature Suite-Only accommodation. It’s perfect for guests who want a real VIP experience, special charters or anyone who wants to see the treasures of Egypt and the Nile in unrivalled style, comfort and luxury. Providing impeccable service, the Jaz Senator features a round-the-clock reception service, wireless internet facilities (free of charge), international telephone and fax (against charge), an on call doctor when the boat is docked at its own piers. Guests of the Jaz Senator will also be served with complimentary refreshments on any coach tours taken. With a total of 17 luxurious suites located throughout the entire ship, the accommodation and space on the Jaz Senator is generous. The upper deck of the ship contains 6 suites and the main deck houses the remaining 11, each measuring an impressive 32 m² with bedroom, king size bed and a separate lounge area. All suites feature large panoramic windows which open out onto a private balcony with additional seating overlooking the Nile. Fully air-conditioned (individually controlled) the suites have a private bathroom with W/C, hairdryer and bathtub as well as an in-cabin entertainment centre with Marine satellite TV and video, international direct dial telephone, fully stocked mini bar (refilled daily) and a personal safe. The Jaz Senator’s suites offer an exceptional standard of facilities and services. When you check in, you are served with a complimentary bottle of local champagne or wine. Suites include a supply of headed stationery and postcards to write home and luxurious Egyptian cotton bathrobes and slippers . Additional services are available on request as full laundry service. The Jaz Senator offers the ultimate in cruise comfort by providing a full room service to all guests with the option of a full American style breakfast served in your suite. Otherwise, the elegantly furnished main restaurant provides space and comfort enough to accommodate all guests in one sitting. Experience fine dining with a variety of international cuisine dishes created by the skilled and experienced onboard chefs. 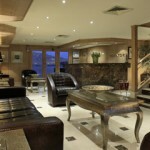 A large, sumptuous lounge bar serves drinks and snacks all day. The spacious Sun deck also features a pool bar and swimming pool. Work out in the fully equipped fitness centre or just nurture yourself with a charcoal sauna (free of charge) or a full body massage. Visit the gift shop or, if you feel more active, deck-games are also available. Dance the night away or enjoy live entertainment and join in the fun in the evenings. A complimentary arrival Airport or Railway Station transfer to Nile Cruise Boat in Luxor or in Aswan in the first day of your Nile Cruise Program. A complimentary departure Airport or Railway Station transfer from Nile Cruise Boat in Luxor or in Aswan in the ends day of your Nile Cruise Program. – Official Rating is the Rating Giving to the Cruise by the Egyptian Tourism Authority. However this is Not the Only Factor that affects the Cruise Quality. 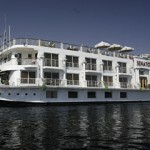 – All Suites are Outside Suites in Nile Cruises. There is No inside Suites. 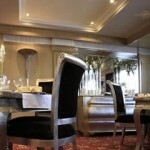 However the Suites are distributed on the Cruise Decks. 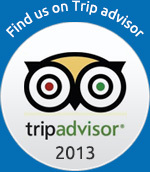 – All Inclusive Meals include Breakfast, Lunch & Dinner, All Beverage, Tea, Coffee, and Juice & Local Alcoholics by Glass. 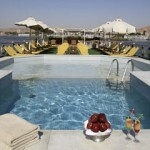 – The Trips can start either from Luxor or Aswan depending on the Cruise Schedule. 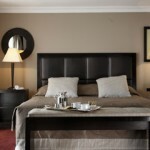 – Average Suite Size includes Bathroom and Balcony. Kindly know all information and Photos are taken from the Nile Cruise Boat Brochure and we not represent our opinion about the Cruise www.egypt-nile-cruise.com is not responsible for any change or false information published by the Nile Cruises Companies.